Product and ordering information for Fluorimetry cuvettes. Four-sided clear disposable cuvettes for fluorescence applications; Polystyrene for 340nm-800nm or proprietary polymer for 230nm-800nm. NEW! 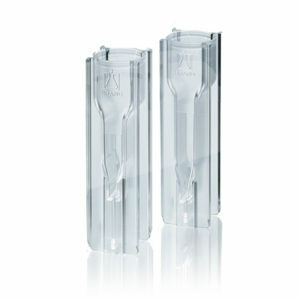 Disposable macro cuvettes with 4 optically clear sides from BRAND suitable for use in flourescence applications. Available in high quality polystyrene for measurements from 340nm to 800nm, as well as a proprietary polymer with ultra-low autofluorescence for precise measurements in both the visible and UV-range (230-800nm). 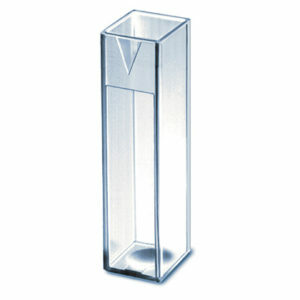 Cuvettes have a standard 10mm light path for use in all standard fluorimeters. Packaging is 100 per tray in trays made of low-dust, non-scratching polystyrene, and are grouped by manufacturing mold cavity to ensure the lowest variation in extinction coefficient. What is the difference between the PS and UV-Cuvettes? Polystyrene (PS) cuvettes are the least expensive, however they have the lowest chemical resistance, and are only suitable for visible light applications, with a lower wavelength limit of around 340nm. 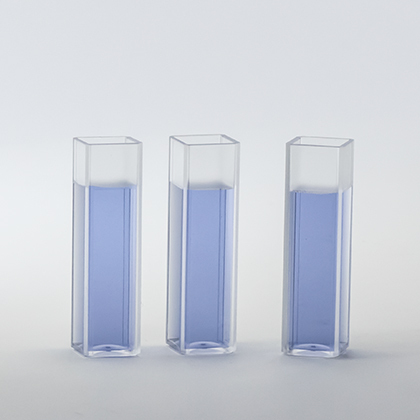 BRAND UV-Cuvettes use a proprietary plastic to allow measurement as low as 230nm, and has resistance to many polar organics as well as many acids and bases. The UV-cuvettes also show no autofluorescence. What is the maximum temperature the PS and UV-cuvettes can tolerate? Both the PS and UV-cuvettes should not be used at temperatures above 70°C. ⚠ WARNING – These products can expose you to chemicals including Di (2-ethylhexyl)phthalate (DEHP), which is known to the State of California to cause cancer and birth defects or other reproductive harm, α-Methyl styrene (alpha-Methylstyrene), which is known to the State of California to cause cancer, and Di-n-butyl Phthalate (DBP), which is known to the State of California to cause birth defects or other reproductive harm. 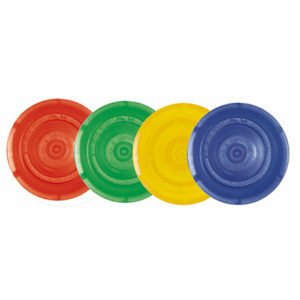 Cuvette Caps - Available in 4 colors for easy sample identification. Round caps fit the UV-cuvettes only.